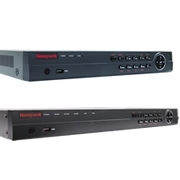 The Honeywell Video HRGX81 is an 8 channel H.264 embedded DVR with a 1 TB storage capacity. The new HRGX embedded digital video recorder is the latest in Honeywell's Performance Series lineup of feature-rich cameras and DVRs providing affordable video surveillance solutions for a wide range of everyday security applications. Offering an advanced feature set at a low price, the HRGX is ideal for a wide range of surveillance applications, including small to mid-size retail outlets, apartment buildings, warehouses, and educational facilities.